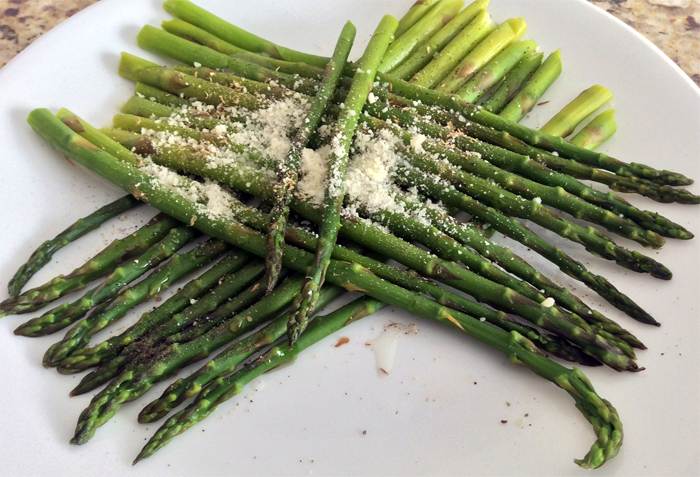 Baked Herbs & Cheese Method: In a baking sheet, add asparagus, drizzle olive, salt, pepper & herbs. Bake it for about 10 minutes stirring it occasionally. Garnish it with parmesan cheese and broil it for 5 mins. 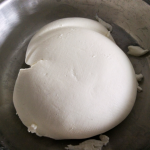 Drizzle some olive oil and sprinkle more cheese & pepper before serving. For all the above recipes – Do not cover the pan with a lid. Sauté asparagus just until 60% cooked. Asparagus tastes better when it is still green and crunchy. Do not overcook the asparagus.